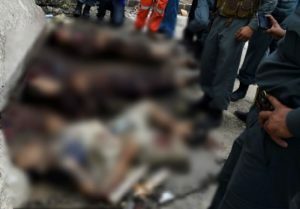 At least 9 Taliban militants were killed after stepping on an Improvised Explosive Device (IED) planted their fellow fighters in northeastern Badakhshan province. According a security official, the incident took place late on Saturday night in Walik village of Arghistan district. The official serving with the 209th Shaheen Corps of the Afghan National Army said a senior Taliban leader identified as the group’s shadow district governor was among those killed.